IMPORTANT: Read the Terms and Conditions, Rules and Regulations here. Some threads are not viewable for Newbies. Try to attain certain number of posts first or PM the Librarians and assistant Librarians for permission to view close threads. Introduction and welcome threads for newbies. You can start posting from here. Maintain the friendly atmosphere of the forum and promote Bookworm sisterhood. The reader's corner for inspirational books. Reading materials that uplift the spiritual faith. Also known as the historical novel, is a broad category of fiction in which the plot takes place in a setting located in the past. Discuss, critic, recommend your favorite contemporary novels. Find the latest E-Novel updates and new released outputs on this section. Only from Bookworm Realm Publishing. 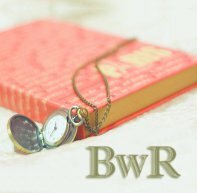 Welcome to BWR! Anyone can post their works on this thread. Talk about your frustrations, annoyance, etc. Just don't use foul words when ranting. Aside from books (our food for our brain)... we all have the same passion: FOOD! This is the alternative universe and fan fiction zone. Here, you can be what you want to be, you can role play, you can create your own world, etc. Everyone's invited to share their fantasy. Our portraits.... now and then. Our collections of personal videos. Members can post anything they sell here. Books, Gadgets, Pets, any legal goods. The admin and staff do not have liability on the transaction between sellers and buyers. We can's guarantee product returns or exchange. Buy at your own risk. Hunt and trade here with you co-bookworms. Debate, talk, argue... open topics you wanted to talk about here. Could be love, philosophy, spiritual etc. Welcome to the bookworm's mini Theater! Come on and let's talk about your favorite movies and review the movie flick you watched! Couch potatoes hang out corner... talk about the series you watched! Interesting Website Links, Videos etc. Collections of interesting, entertaining and educational website links and video clips. Useful for surfers and students.